Are You Ready For Earth Day? CTP GiVeAwaY!! But I also love all of their other fabulous products. 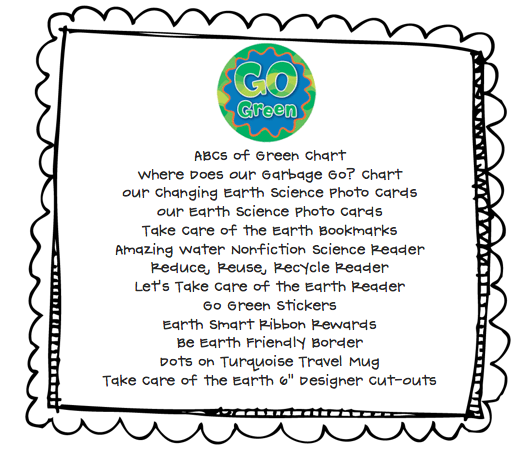 I was looking for resources and fun things to celebrate Earth Day and ran across their Go Green Product Line. I contacted them about a giveaway, and guess what? The winner of this giveaway gets the CTP products below AND the Earth Day Pack from me! Here is a list of what I picked out for the giveaway! I am giving it away with the CTP products listed and pictured above! How do you enter? Easy! Just like CTP on FB and be a follower of my blog. That’s it. if you could have anything! 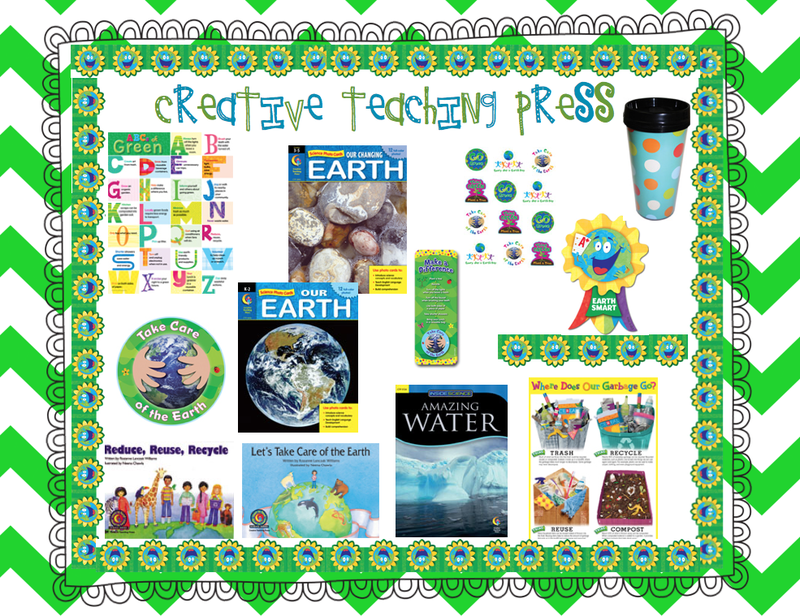 And on a serious note, not only does Creative Teaching Press create wonderful teaching products, but they are also committed to our Earth, many of their products are made from post-consumer recycled materials…which is great for our environment. Giveaway ends Sunday, April 8th at 9pm central. Weather Freebie: Happy, Fluffy Clouds! Bunny FREEBIE and Earth Day Fun! We Have A Winner! Is it You? I follow them on fb and you too. What an awesome giveaway. I follow both you and CTP on FB. Great give-away! I would buy see bee border and bee cut outs. Can you guess our theme? What a great giveaway! If I could buys anything from them, it would be all of their owl themed stuff. I really want to do that in my room next year! Thanks! I am heading over to CTP to look around and get my bonus entry! I follow your wonderful blog and CTP on fb. I visited CTP's website and would love some spinners. I liked CTP on FB and I follow your blog! I have all their frog decor already, but I would love small group sets of all their phonics readers! 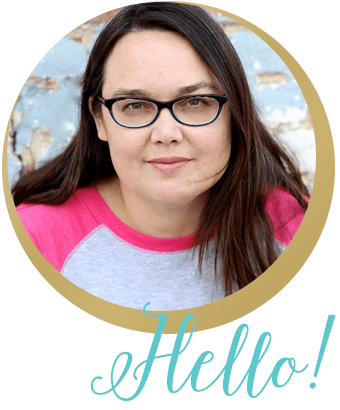 I follow them on FB and I already follow your blog! Love these products!! I follow you and CTP! AWESOME! I like CTP and I follow you too. That unit looks a.maz.ing! The Complete Guide to Classroom Centers looks fantastic. I already "liked" CTP on Facebook and follow your blog. I will say I love getting CTP's catalogs in the mail! I follow both! Thanks for the fun opportunity! What an awesome giveaway! I'm excited to follow CTP on facebook…I'm a little scared to go look at their catalog though! LOL! I love the Birthday Bulletin Set. Learn to Read Math Classroom Pack Level 3, Gr. 1-2 (Levels G-I)! I follow your blog and like CPT on Facebook. I liked CP on FB and I follow your blog. Thanks for the giveaway! I follow your blog and CTP on Facebook!! I would love to have CPT's "Highway Letters, Shapes, and Numbers." I follow you and CTP on FB 🙂 What a great giveaway! I love CTP. I already purchased Dots on Chocolate for my classroom but I also love their basic skills charts!! If I could have anything from CTP, I'd definitely get my hands on their phonics reader sets for my kiddos or any of their adorable owl borders/sets! I follow them on facebook and I also follow your blog! I follow your blog and like CTP on FB! Following CTP and you! I would buy the Electing our President pack. So much we can do next fall with elections coming up! Love this Earth Day give-away! I follow your blog and CTP on FB!! If I could have any product from CTP I would pick the Popping Patterns 7" letters! I like them on Facebook and I follow you of course! If I could have any product from CTP, I would pick some of the nonfiction science books about animals. I follow you and liked CTP on FB! I LOVE their products, for real! I *beyond* looove the Dots on Turquoise items from CTP. I actually just bought their new calendar set, and I plan on getting all the goodies from this set for next year!!!! They have a set of little readers for fluency I really want! That is a great give away! I follow your blog and I just started following CTP on FB. The Earth Day pack looks amazing! If I could get anything I wanted, I would buy all the Dots on Turquoise items….LOVE them all! I've "liked" CTP since forever on FB! If I could get anything I wanted, I wouldn't be able to choose because I love everything! Thanks for a wonderful giveaway! I follow CTP & you. The items look awesome, thanks for offering the giveaway – my fingers are crossed! I LOVE dots on turquoise! My room is decorated with that, as well as the dots on chocolate. Fingers cross for this giveaway…I'm on a streak! I already follow your blog and I liked CTP on FB. I looked at CTP's catalogue and I would like some of their interactive ebooks. Howdy! I am new to blogging and "following" but not new to CTP. Have been a loyal fan of theirs for a gazillion years!! Love both Blue Skies and CTP! thanks for all you do! I follow you Jennifer and I love your ideas! I am obsessed with their dots on turquoise and dots on chocolate! In fact, I just went to the store and bought a ton of border. If I could buy anything from the CTP catalogue I would buy the dots on turquoise calendar set and the classroom helpers set. It's too cute! oh, and i liked CTP on FB. I hope I win!! I love the CTP products and I have liked them on FB and I have been a follower of yours for quite some time! You are one creative gal! I have already been a fan of CTP not only on FB but also Pinterest. If I could have anything from CTP it would be the new BW Collection. I love the style of all of that stuff! Love your ideas, I am now a follower. If I could buy anything I'd love the Dots on Turquoise classroom set! Maybe that will be my new theme next year! If I could buy anything… I'd fill my cart full of the Scratch n Sniff stickers. I mean, baby farm animals that smell like baby powder??? Awwww! Great give away! I follow both an love your blog!! If I could buy anything it would be themed bulletin board sets for every unit and holiday and lots of holiday books!! Hi I follow your blog and liked CTP on FB. I LOVE their seasonal Cut-outs and find myself buying new ones all the time! It spices up our classroom speedy quick! So Awesome Jennifer! I follow you, follow CTP of facebook… and I think I will just purchase the 5 star listener poster! I follow your blog but I don't have a fb account to like CTP. But I can say that I buy lots of their products for my classroom and I would love anything from their catalog. What an awesome unit! I liked CTP on FB and I already follow you! I liked the fb page! and already follow you! I would buy spanish resources from CTP! there are so many! I like CTP on Facebook and follow you! 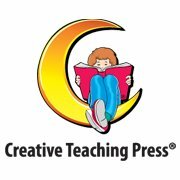 If I could buy anything from CTP I would get some of their great 6 pack books for Guided Reading! I especially love the science ones! I do love the dots on turquoise like you but really would like the Dots on Black Designer Classroom set….I like to mat a lot of my kid's artwork on black to make it stand out and that set would probably look great in my classroom. I'm glad you had us take a look today! I like CTP on facebook and I already follow your cute blog! I follow you and "like" TPT on Facebook! As a new first grade teacher, I love reading your blog! You have the best giveaways!! Of course I follow your blog, and I like CT on Facebook! 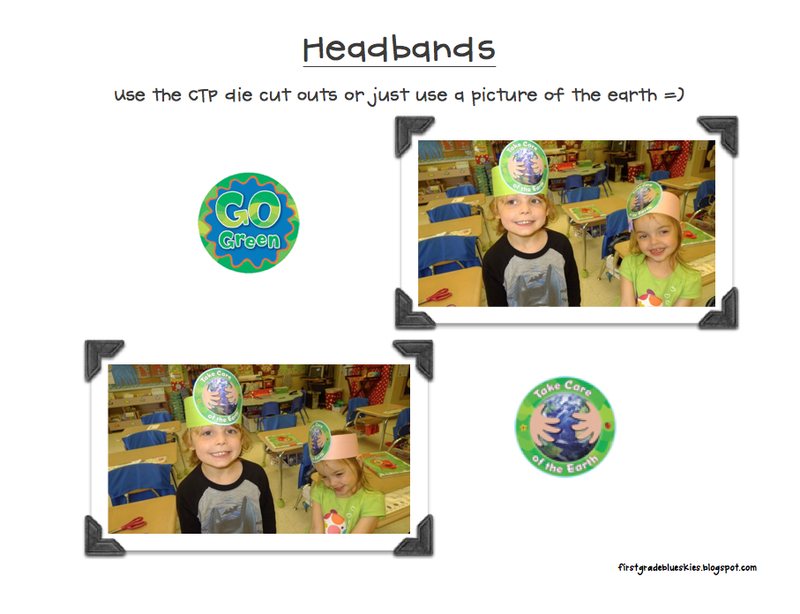 We do Earth Day BIG since we are an environmental science magnet and I would LOVE, LOVE, LOVE to win your amazing Earth Day unit and the fab items you picked out from CTP! I liked CTP and I have been a follower of yours forever! I would love to get the lots of dots border and the Kids can make a difference environmental charts. I follow both of your blogs and CTP. Thanks for all the hard worK you put into these teacher resources. I like (love) CTP on Facebook and follow your blog! So cute! I follow your blog and CTP on FB. I looove all of CTP's Poppin' Patterns products!! Follower of both. You rock!! I follow them on fb and you as well!!! I love the robot bulletin board set. I liked CTP on Facebook and I follow your blog! What a great giveaway!! I have done everything. I am obsessed with stick kids from CTP—anything and everything! I hope I win! I also visited the CTP website and I love their library pockets! and I already follow CTP too! If I could have anything from CTP, it would be the entire Dr. Maggie phonics collection! Wow! What an awesome giveaway! I hope I win, I hope I win, I hope I win! 🙂 I follow you and liked CTP on FB and I would definitely buy the science variety packs. Now I totally want them! They both look so awesome. I follow your blog and liked CTP on FB! I would order everything from CTP….but I would purchase some new bulletins! I follow your blog and CTP on Facebook. Thanks for a great give away! I am a follower of your blog liked CTP on facebook. Looks like a really fun giveaway! I love and follow/like First Grade Blue Skies and CTP!!!! Just fabulous. I of course follow your amazing blog and now "Like" CTP on Facebook! I follow you and like CTP on Facebook! Black Polka Dots Designer Classrooms. I follow you and like CTP on Facebook! 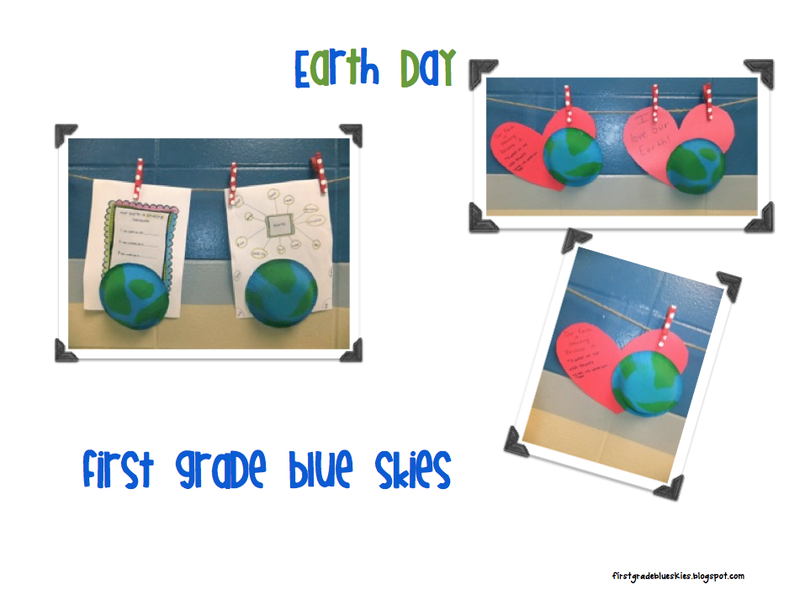 Love your Earth Day unit! Great stuff! I follow you and CTP on facebook! I love this stuff! I hope I win! If I could have anything right now, I would love to have those Go Green name tags! They are soooo stinkin' cute! I follow your blog and liked CTp on facebook! I follow your blog and liked CTP! Thank you for sharing so many wonderful ideas!! I love the Worm Day freebie!! Thank you!!! I also liked CTP on FB. One of my favorite items in their catalog is the Reading for Fluency Collection Kit. Would love to own it!! sooo cool! this is an awesome giveaway!! i "liked" ctp on fb and i am now an official (email)follower of your blog! I love CTP books! they have terrific ideas! I follow them on FB and I follow you too! I like CTP on facebook and I follow your blog!!! Pick me!! Didn't enter give away but will surely check out your unit on TPT!